Who said you couldn't get great video game freebies with your snacks? You may have recalled how Activision made a special set of Skylander figurines available through a promotion with Frito-Lay products. In much the same way, Activision has once again paired with Frito-Lay in order to offer a few limited edition sidekicks for Skylanders Giants. The sidekicks available through this promotion include bite-sized versions of Tree Wrex, Thumback, Ninjini, and Eyebrawl. Should you find yourself with a code for a creature, you can follow this link in order to activate them in game. It is important to note that the first time Activision and Frito-Lay ran this promotion, you were not guaranteed the character that you wanted. You listed the ones you wanted and then hoped for the best. Hopefully, things are different this time around. 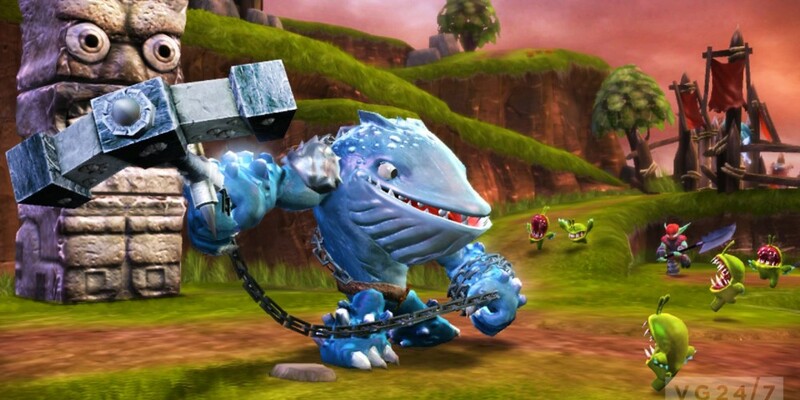 Skylanders Giants was released last year for the Playstation 3, Nintendo Wii U, Xbox 360, and the Nintendo 3DS. It supports cooperative play with up to two players. Page created in 0.4453 seconds.